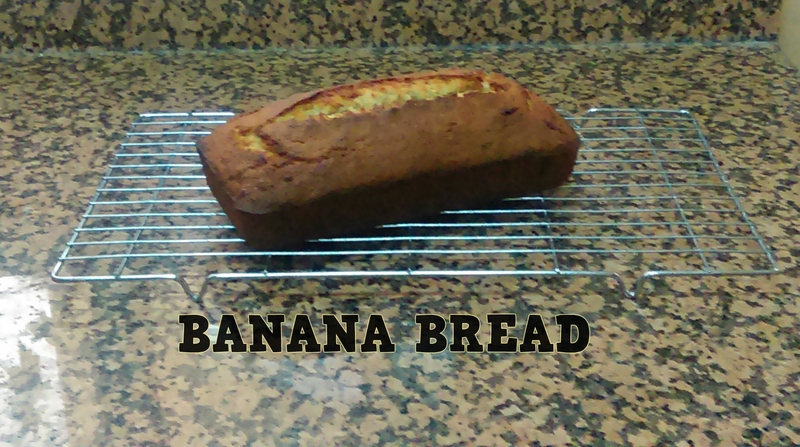 One of my favourite cakes to bake is banana bread. 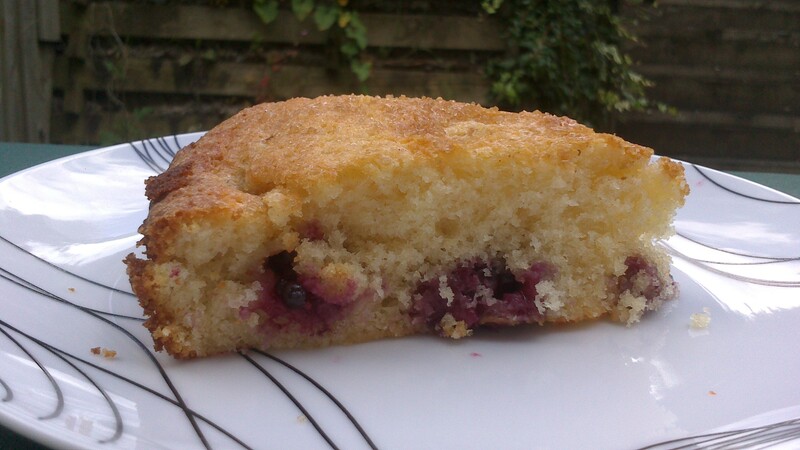 Its so easy, simple and delicious; what more could you ask for in a cake. The best type of bananas to use in a banana bread are the ones that have gone slightly black in colour as they are the sweetest and make the cake even more moist. I have found myself putting my bananas in the freezer if they have started to change colour and I don’t have the time or the inclination to bake. I would advise taking the skin off and slicing them roughly before freezing, and then let me them defrost fully before using them. As freezing them can add extra moisture to the bananas, something to keep in mind would be your cake might need extra time in the oven, an extra 5 to 10mins should be sufficient. Preheat your oven to 190C. Line a kg loaf tin with baking paper. Using an electric handmixer or do it by hand if you have muscles, I however don’t so it’s the hand mixer for me; cream the bananas and sugar together until fluffy. Add the butter and beat until evenly combined. Beat in the eggs, one at a time, adding a spoonful of flour with each. This helps prevent the mixture from curdling. 4. Now sift the remaining flour and baking powder over the mixture and carefully fold in. If you are adding the walnuts or Choco chips fold them in now as well. 5. Spoon the mixture in to the loaf tin and spread evenly. Bake for 40Mins, I have found this sometimes is not enough and the cake needs a further 5-10Mins so just keep checking with a screwer. Don’t worry your cake will have cooked enough that it won’t sink if you keep opening the door, it’s only in the early stages of baking this will happen. Also if the cake starts to get to dark on top which I have found can happen cover it with some tin foil and it will stop the top of your cake burning. NOTE: If you find the cake too sweet I have found reducing the sugar to about 200g-190g can help, this will also make the cake a bit more healthier. Recipe Adapted from: ‘How to Bake’ by Paul Hollywood. I love blackberries and whats even better is they are in Season this month. I have also been really intrigued to use buttermilk in a recipe as I have seen it so many of my books, I have always wondered what sort of taste and texture it gives, so when I found this recipe I jumped at the chance to make it. The buttermilk added moisture to the cake a bit like yogurt does and also it gives a softer texture and more body to the cake. 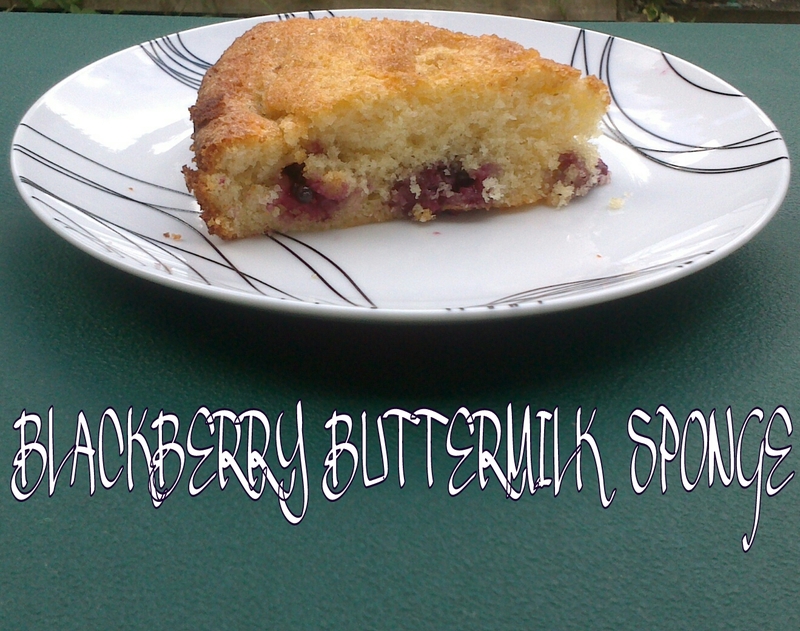 The blackberries also added nice bursts of fruity tartness throughout the cake. 2 Medium eggs, at room temp. 1. Heat the oven to 180c. 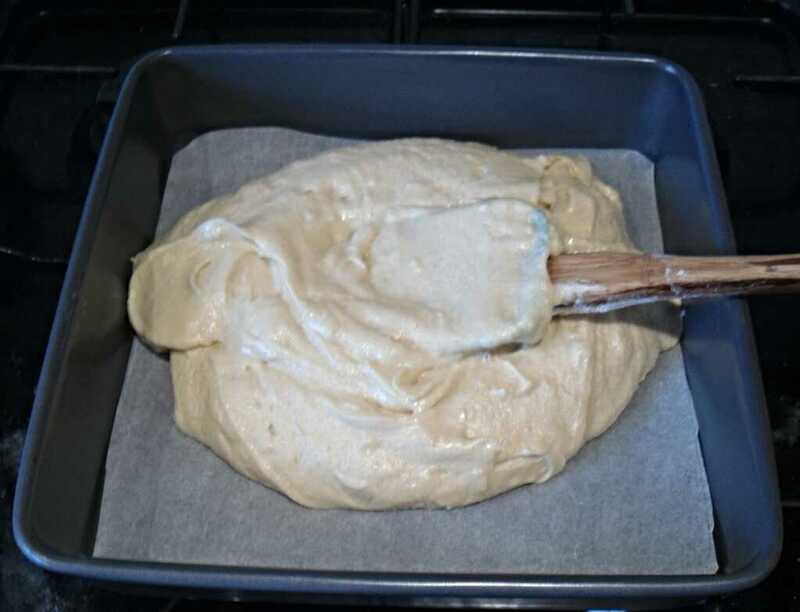 Prepare your cake tin with baking paper in the bottom and grease with butter round the side. Gently wipe the blackberries clean with kitchen paper. 2. Put the butter in to a bowl and beat it until its soft, add the sugar and beat it until its creamy (if you have an electric mixer use that, it will make your life easier). 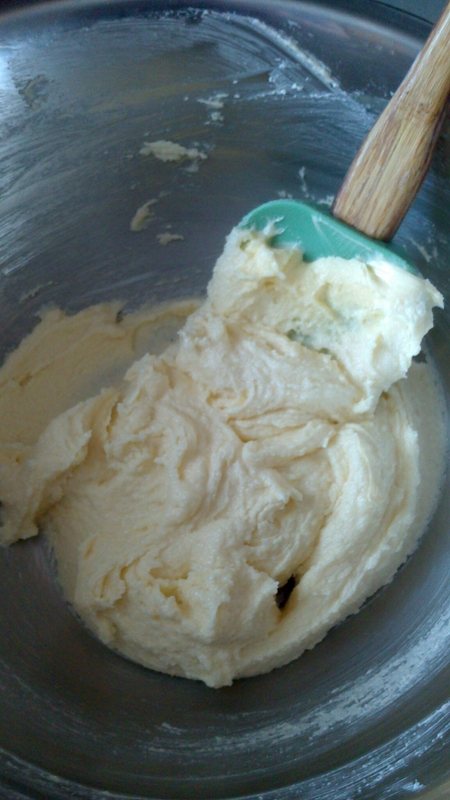 Once the mixture has been beaten add the vanilla extract and beat again until the mixture is pale and fluffy. 3. 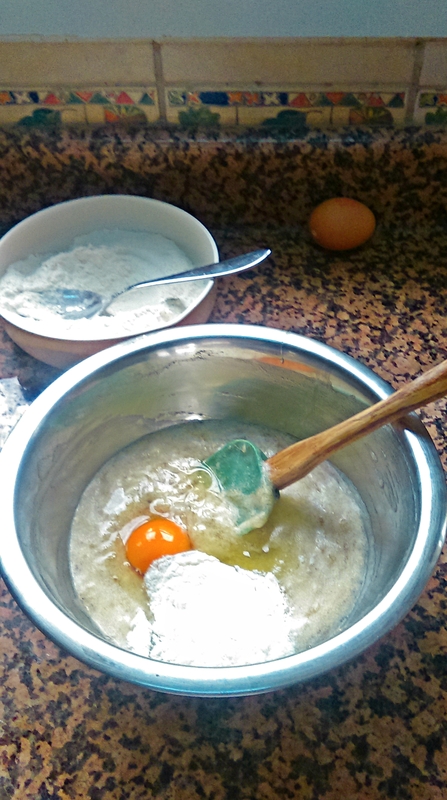 Whisk the eggs in a small bowl with a fork until combined, then gradually add to the butter mixture beating well after each addition so it doesn’t curdle. Add about a third of the buttermilk and gently fold in to the mixture with a metal spoon, then fold in a third of the flour. Fold in the rest of the buttermilk and flour in 2 batches. 4. Scrape the mixture in to your prepared tin and spread evenly. Scatter the berries over the top and gently press them into the mixture so they are partially sub-merged. Sprinkle evenly with the demerara sugar. Place in the heated oven and bake for 35-40mins until golden and a skewer comes out clean. 5. Set the tin on a cooling rack, run a round bladed knife around the sponge to loosen it from the tin then gently remove the cake from the tin. Leave to cool a bit. 6. You can eat the cake warm or room temperature. Enjoy. Source: The Great British Bake Off Everyday. I am making a conscious effort to challenge myself with bakes that intimidate me so I can become better at baking. 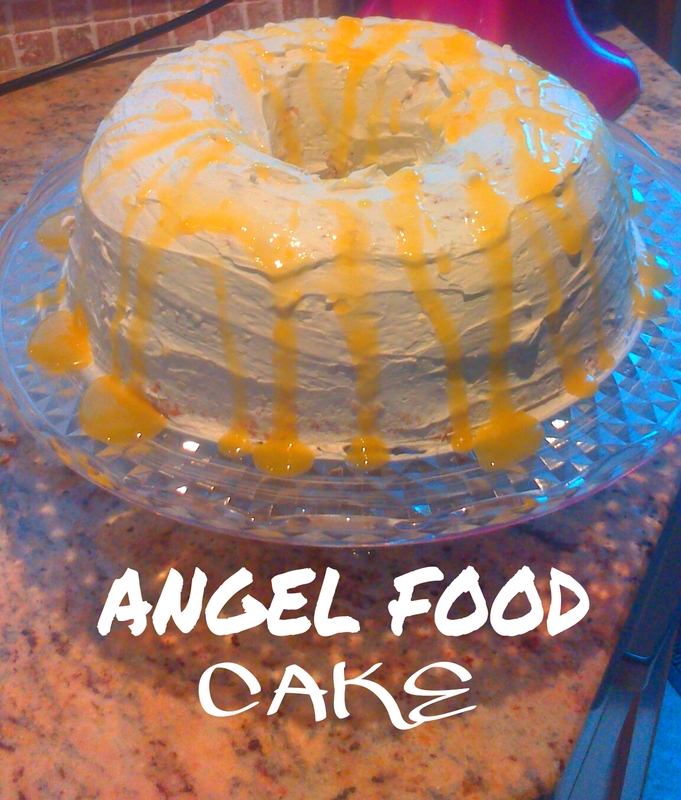 I have already tackled my weak area of biscuits and crackers, now I have decided to tackle Angel Food Cake. Angel Food Cake is a tricky cake to make as it contains no fat and it only gets its lift from the egg whites so it’s really important to whisk the egg whites properly and maintain the lift in them throughout the mixing process. However I had a trusty gadget on hand to help me we this and that was the wonderful KITCHEN AID 🙂 I was staying at my mums house so I had the perfect excuse to make this cake and try out the kitchen aid. 10 Large Egg Whites (don’t panic I know this is a lot and you are probably wondering what am I going to do with 10 Egg Yolks, well my fellow bakers we are going to use them in the lemon curd yes ALL 10 of them so this means nothing will go to waste). Zest of 2 large unwaxed lemons. 1. Heat your oven to 170c. Place the oven shelf near the bottom of the oven. 2. Sift the flour and 100g of caster sugar in to a bowl, mix and set aside. 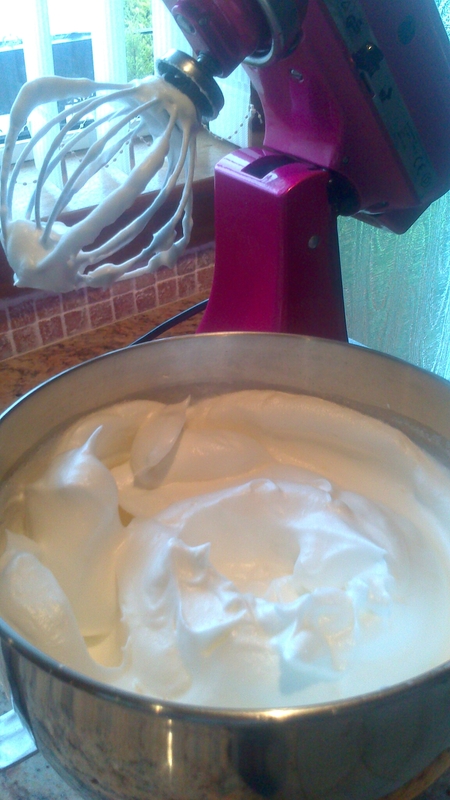 Put the egg whites into a very large bowl and whisk on high speed for 1 minute until frothy. 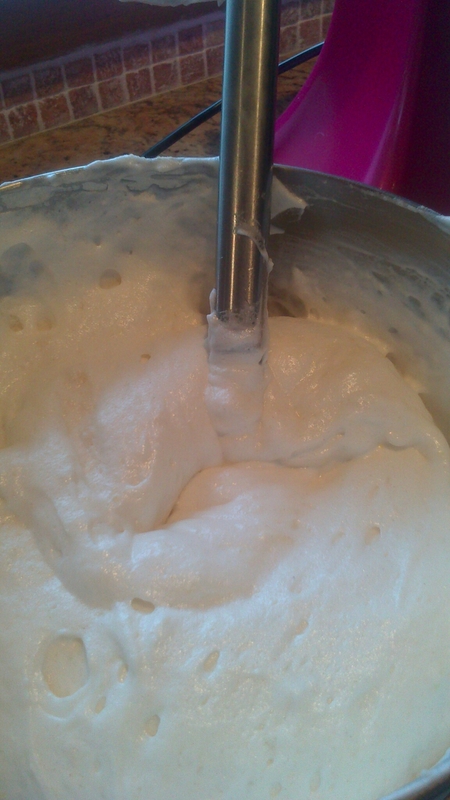 TIP: When whisking egg whites it’s very important to not get any fat in to the whites or they won’t rise properly. I would suggest getting two bowls plus the bowl you are using to whisk the egg whites in. First crack the eggs one at a time over the first bowl, put the egg white in this bowl and the egg yolk in the other. Check the egg white has no yolk in it and pour it in to the whisking bowl. Then repeat with the rest of the eggs. Set the yolks to one side until needed for the lemon curd. 3. Add the lemon zest, juice, cream of tartar and salt, continue whisking for 3 minutes until soft peaks form when the whisk is lifted. Whisking on high speed add the remaining sugar (200g) a tablespoon at a time, then whisk until the whites form firm but not stiff peaks. 4. Sprinkle a third of the flour mixture over the egg whites and carefully fold in with a large metal spoon or plastic spatula so you don’t knock the air out. Repeat with the rest of the flour mixture in 2 batches folding in gently until everything is carefully combined. 5. Transfer the mixture to an ungreased angel food cake pan. I didn’t have one so I used a ridged bundt cake tin however I would not suggest using this as the ridges causes some of the mixture to stick to the pan. Then run a knife through the mixture in order to remove any large air pockets. Place in a heated oven for 45-50mins until a skewer inserted in to the cake comes out clean. 6. 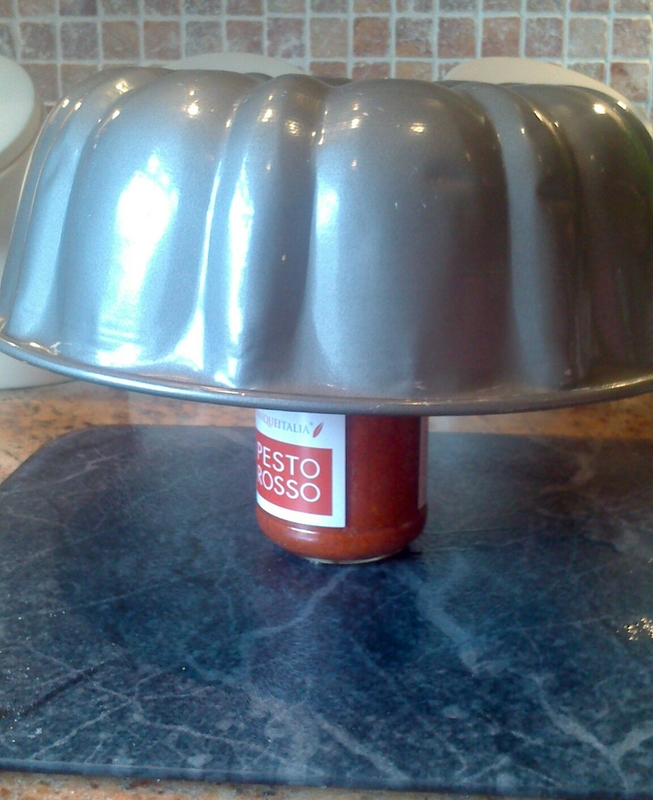 Remove from the oven straight away and immediately turn it upside down, if you don’t have an angel food cake tin (which has 3 legs attached) then use a jar to support the centre hole so that the surface of the cake is exposed to the air to cool. Leave the cake to cool for 1 hour, then run a palette knife around the inner and outer edges of the cake to loosen it from the pan. 7. Meanwhile make the lemon curd. Mix together the egg yolks, sugar, lemon zest and juice in a large pan. Cook gently over a low heat, stirring with a wooden spoon, make sure to stir thoroughly so the eggs don’t scramble. Cook until the mixture starts to thicken enough to coat the back of your spoon/spatula. Remove from the heat and stir in the butter until melted and smooth. 8. 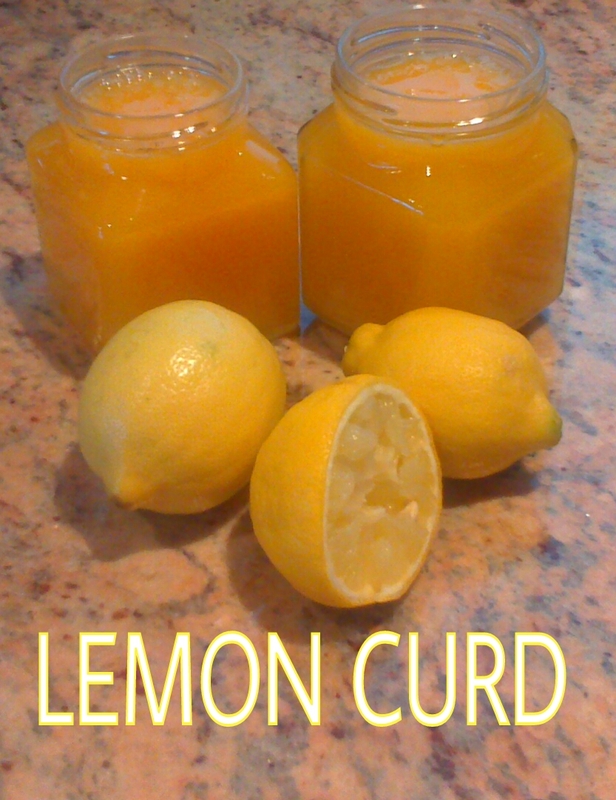 Strain the lemon curd through a sieve into a large jug. 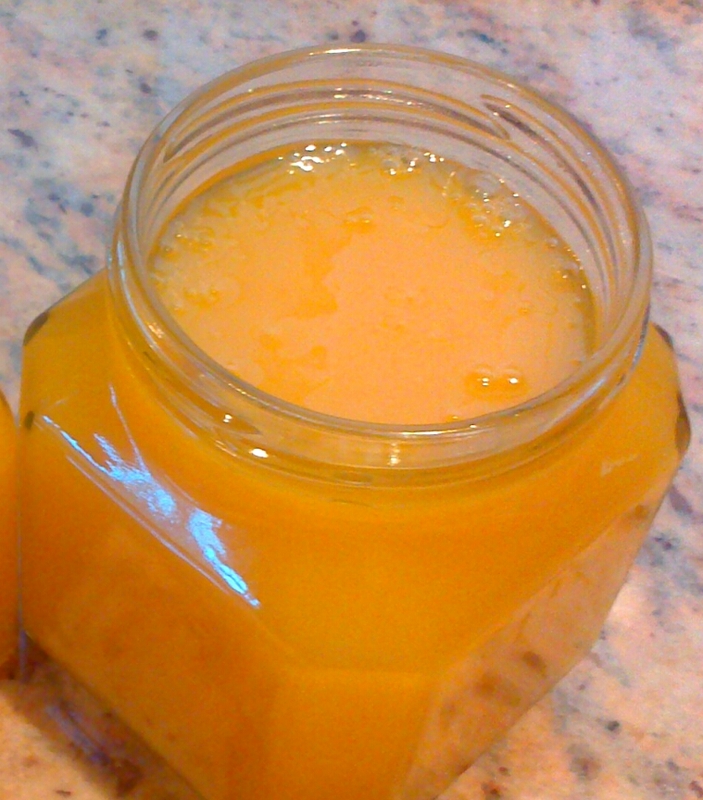 Fill two sterilised glass jars with the curd and seal each with a lid. When the curd is completely cold, store the jars in the fridge for up to 2 months. If there is any left over keep it to one side to use for the topping. 9. When the cake is ready to assemble, whip up the cream with the vanilla extract until it will form soft peaks when the whisk is lifted. 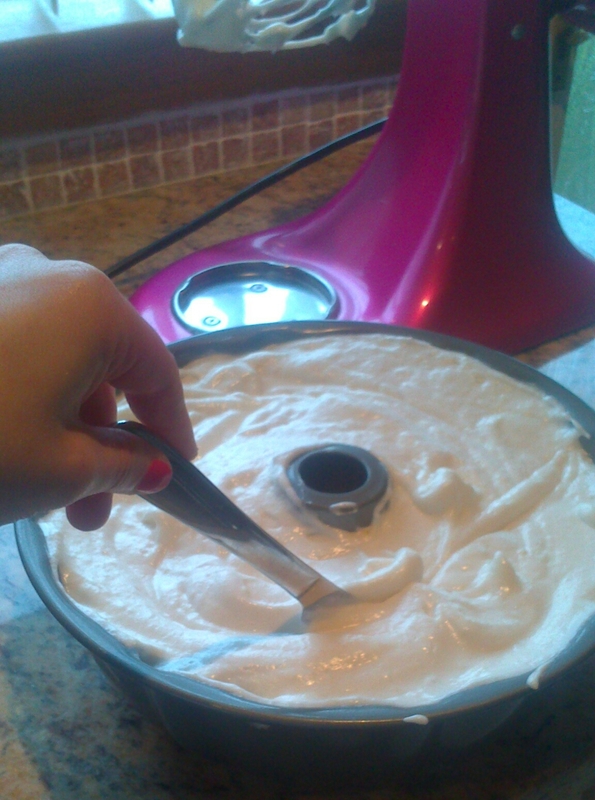 Spoon the cream over the cold cake using a palette knife, coat the top and sides making sure to smooth as you go. Drizzle lemon curd over the cake and serve. The cake won’t keep for long because of the cream, however if your family and friends are like mine you don’t need to worry about that. 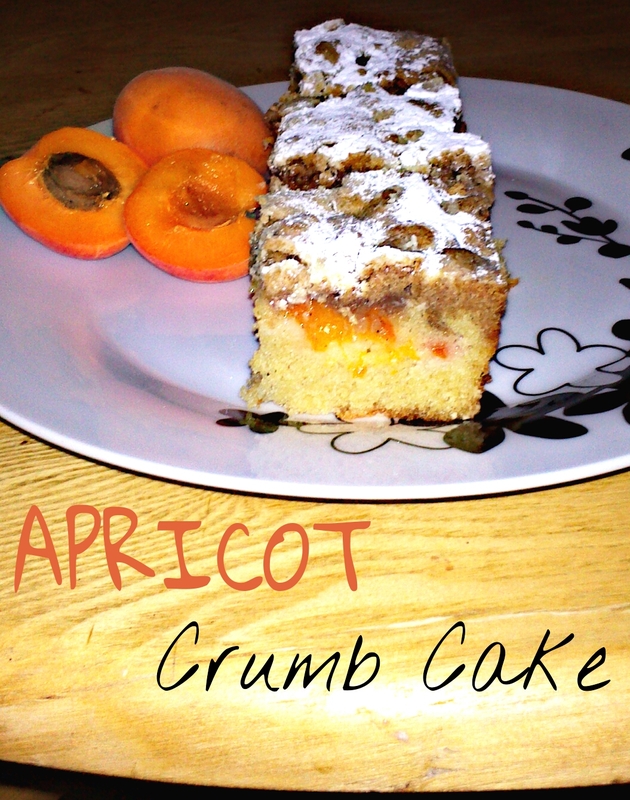 This is the first recipe in my ‘Whats in Season‘ series and I have decided to kick it off with the Golden Delicious Apricot. You will find my latest post here Whats in Season in June if you want anymore details on the series. I took the original recipe from BBC Good Food, however I made some changes. It was super easy and enjoyed by everyone in my office. Stayed tuned for more recipes from my ‘Whats in Season in June’ series. 1. 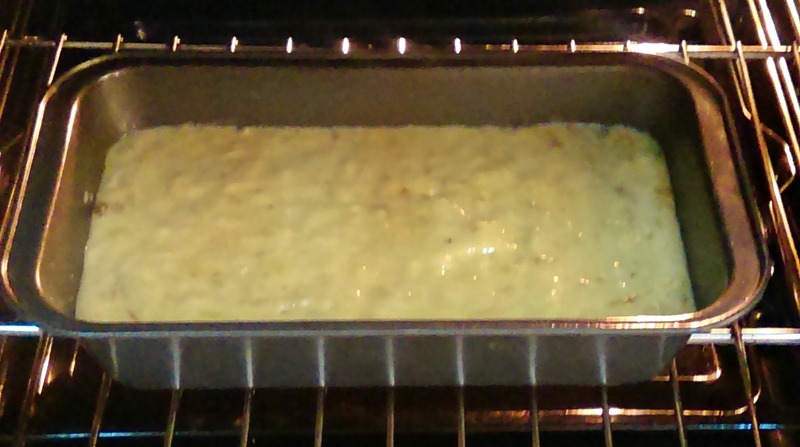 Preheat oven to180C and butter a shallow 22cm square cake tin. 2. Put all the topping ingredients in a food processor with 1⁄2 tsp salt and blend to make a sticky crumble, or rub the ingredients in between your fingers using the breadcrumb method however be warned the mixture will be really sticky. 3. Beat together the butter and sugar till light and creamy, then add the eggs in one at a time and mix. 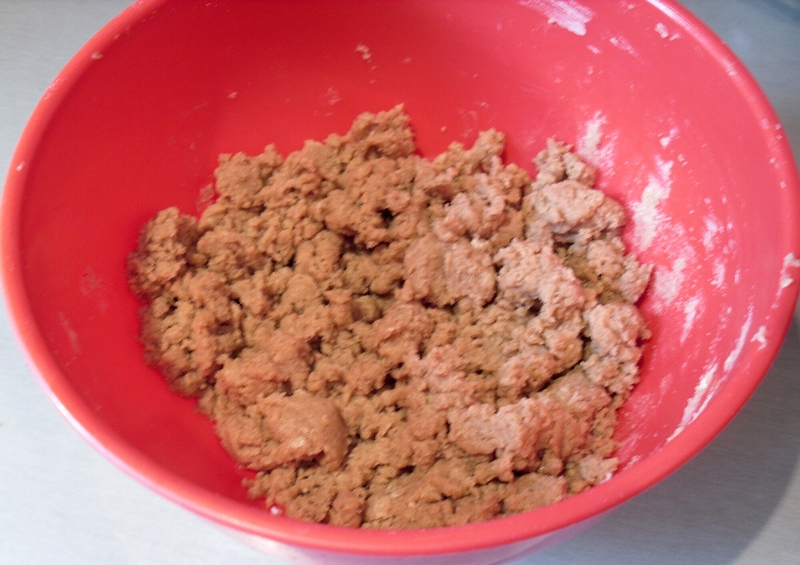 If the mixture looks like it is starting to curdle add a little flour and mix. 4. Add the flour and baking powder and fold in, then gradually add enough milk to make a creamy mixture that drops from the spoon. Spread the mixture in the tin. 5. 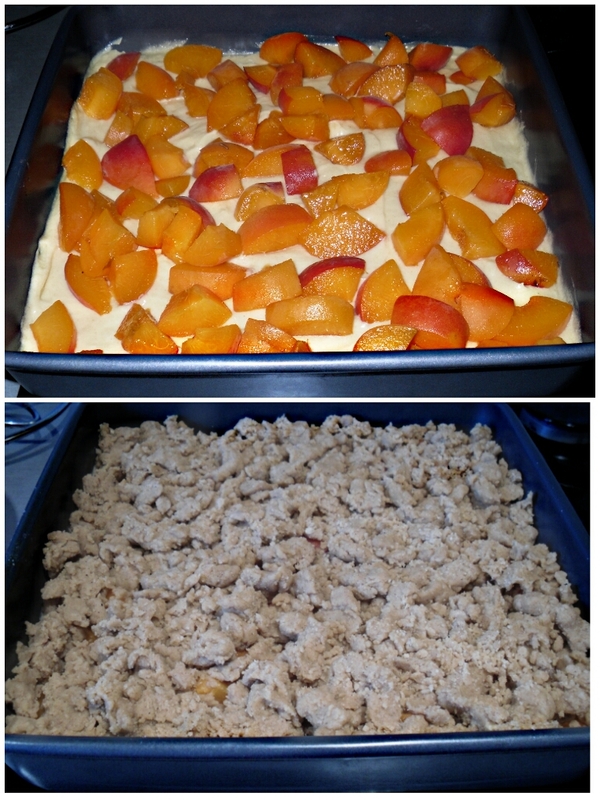 Scatter the apricots on top of the mixture. Top with the crumble and press down.